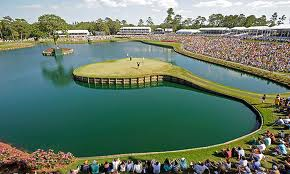 Episode 26 - The Players Championship at TPC Sawgrass annually has the deepest field in world golf. With a packed field of 144 players it's the highest quality field of 2018 and includes all of the World's top 50. The Stadium Course is a Pete Dye design, which is always set to favour no particular style - the best player of the week wins the tournament. However plenty don't like it, with it's whole structure looking to restrict powerful, attacking golf as much as possible. Paul and Steve take you through the tournament in-depth with Paul also giving you his prliminary thoughts on the Rocco Forte Open from Sicily, Italy which features on the European Tour. Preambleat: 00:27; Players Championship Competition: 04:45; The Players Championship Start: 09:21; Rocco Forte Open Start: 57:30.